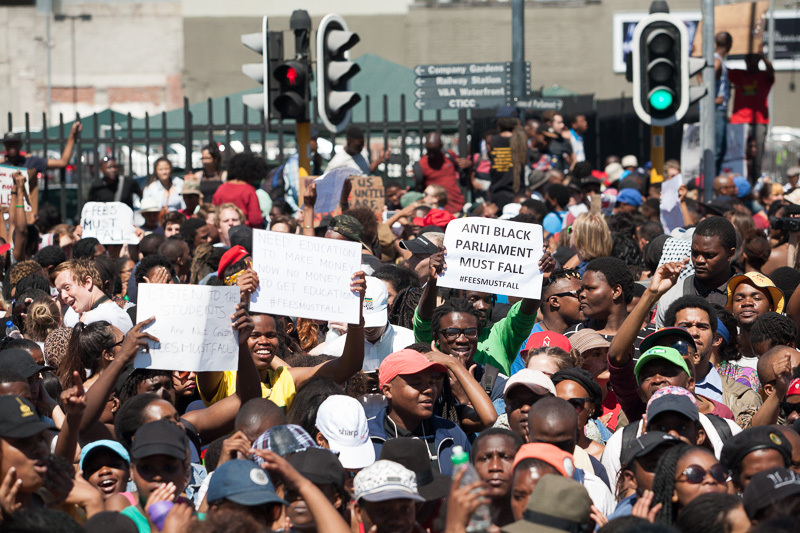 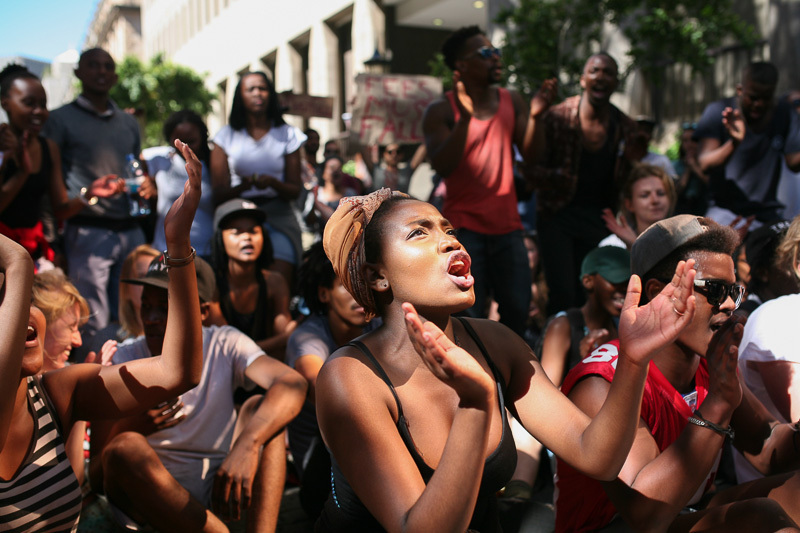 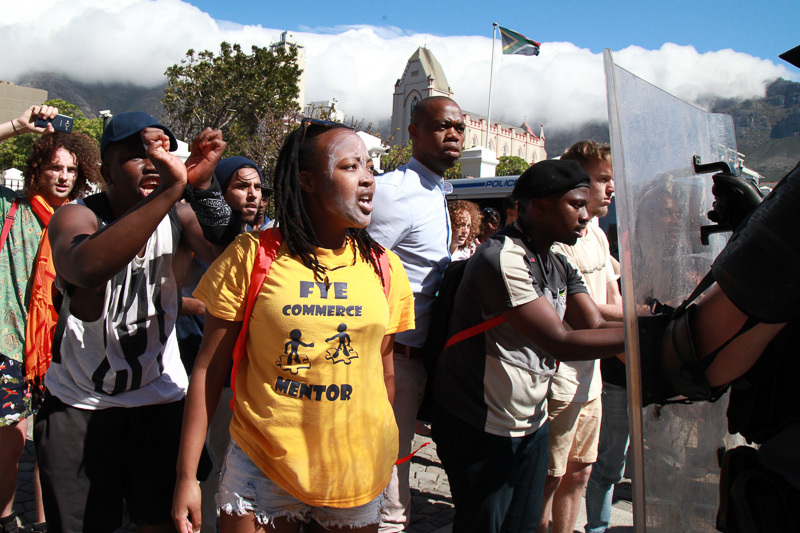 Hundreds of protestors from the University of Cape Town (UCT), Cape Peninsula University of Technology and the University of the Western Cape participated in the #NationalShutdown over university fee increase, outsourcing and a living wage for workers on Wednesday. 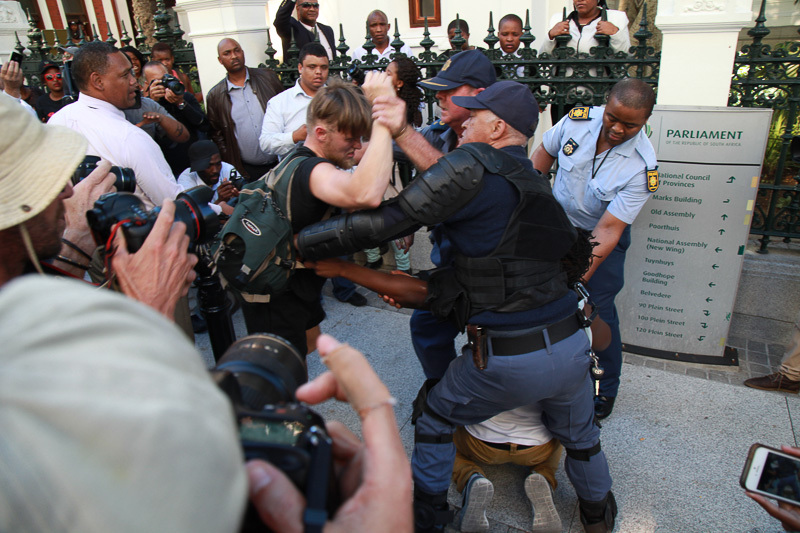 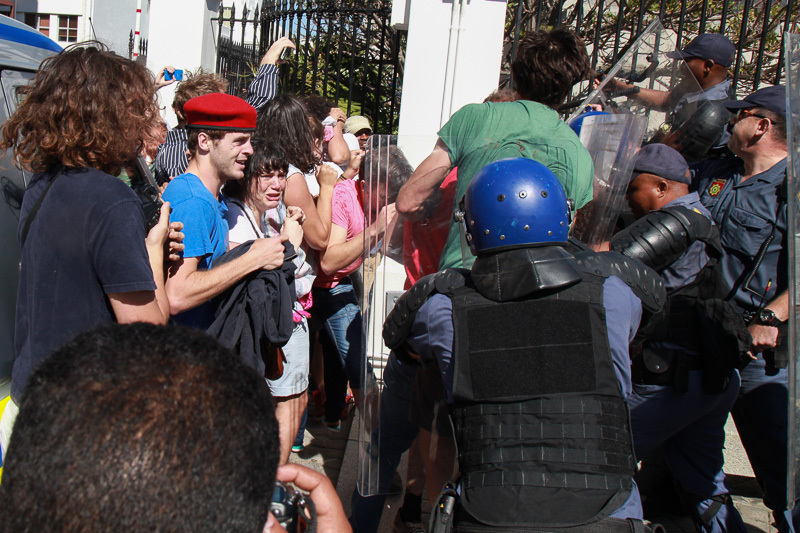 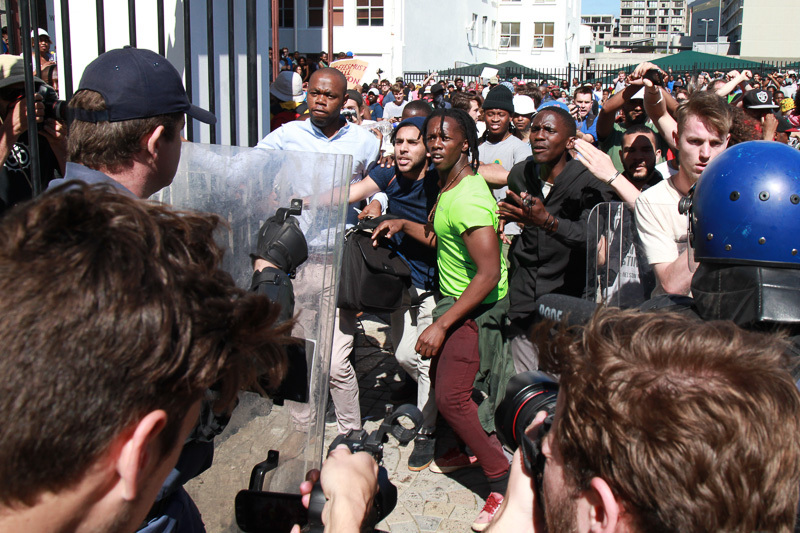 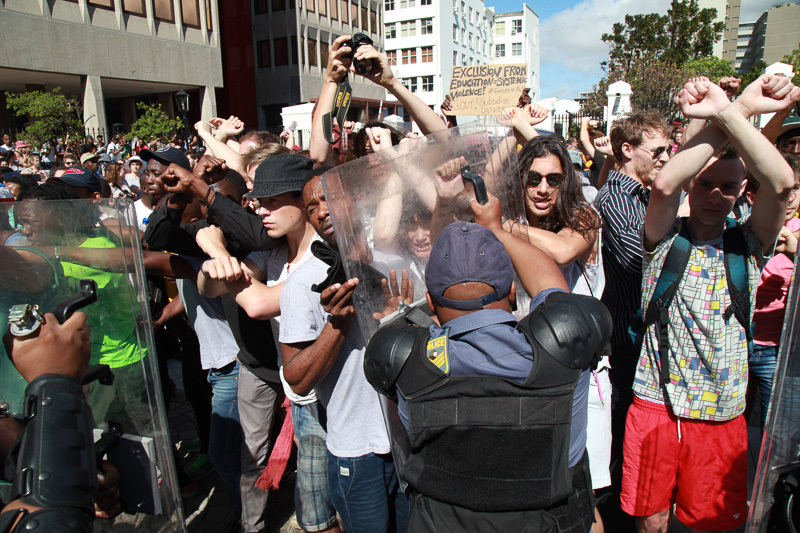 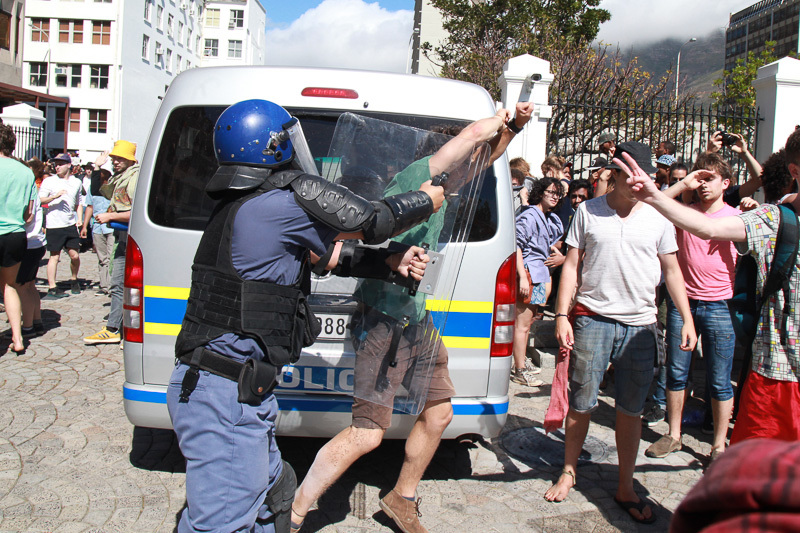 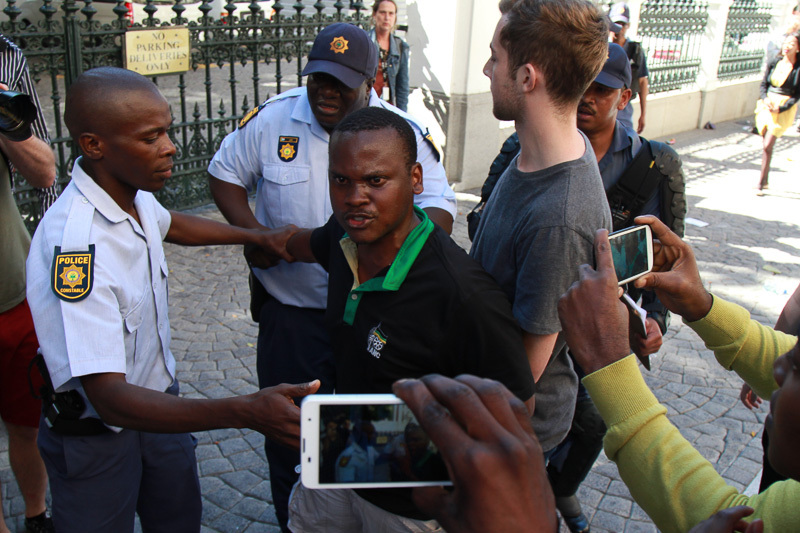 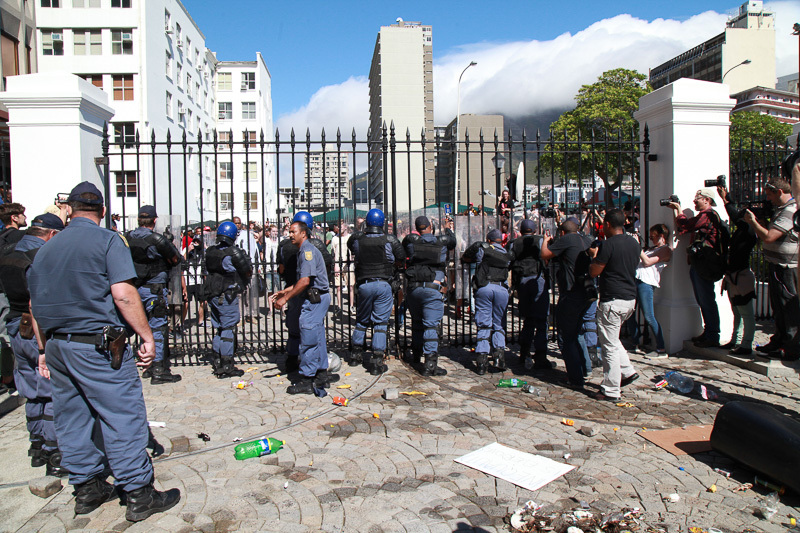 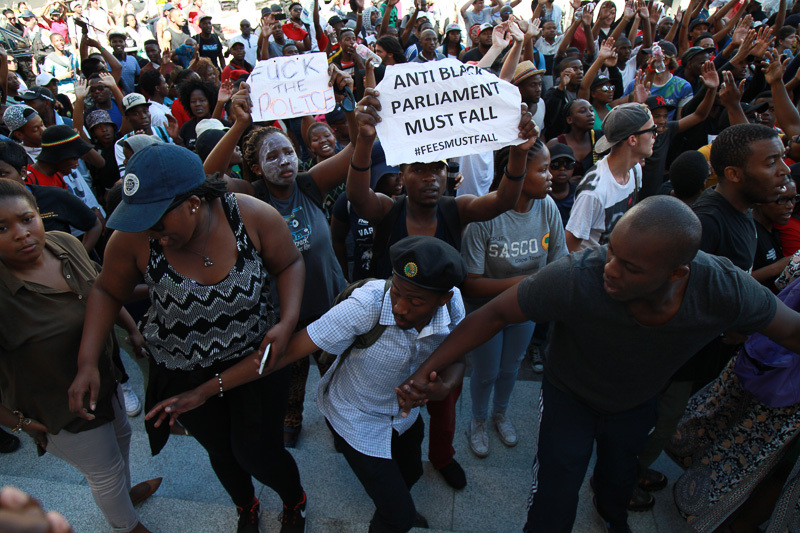 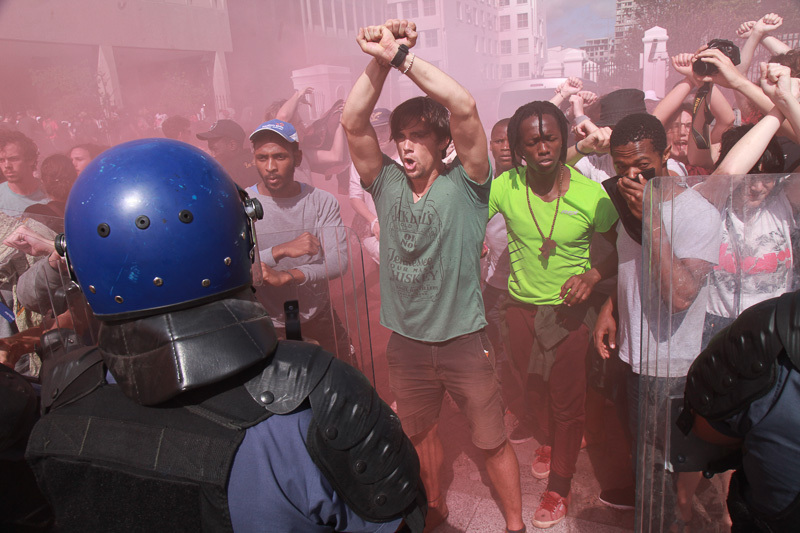 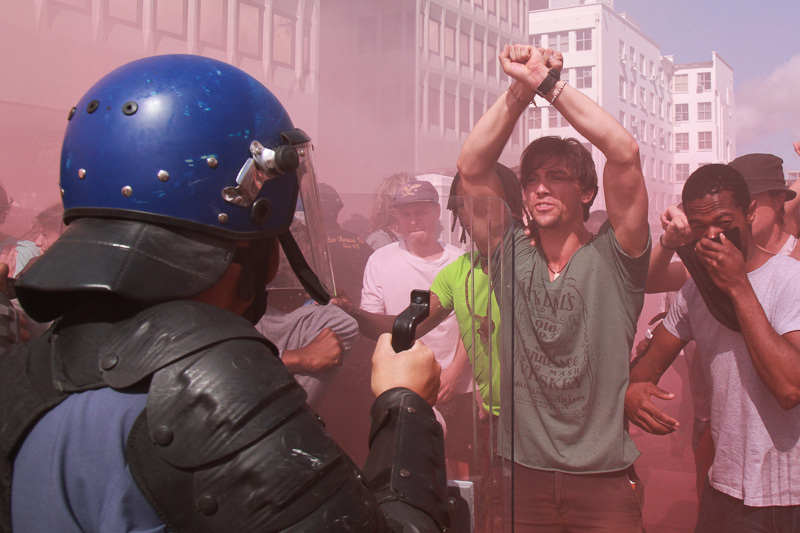 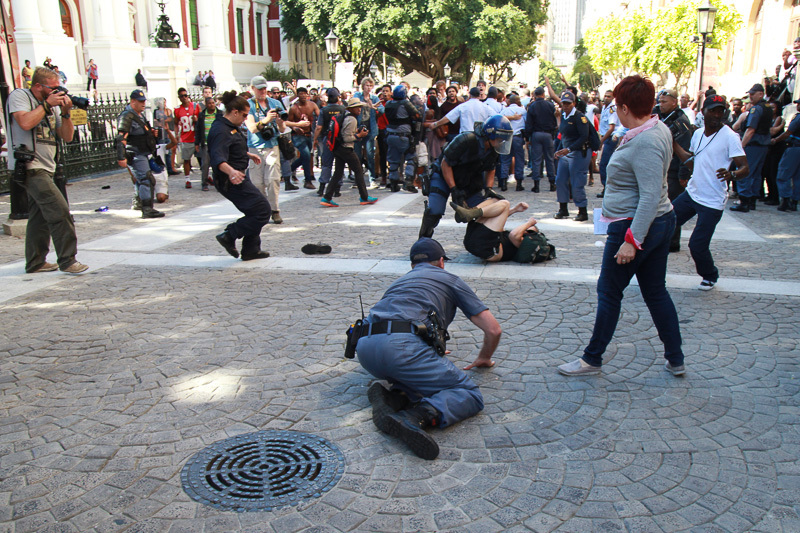 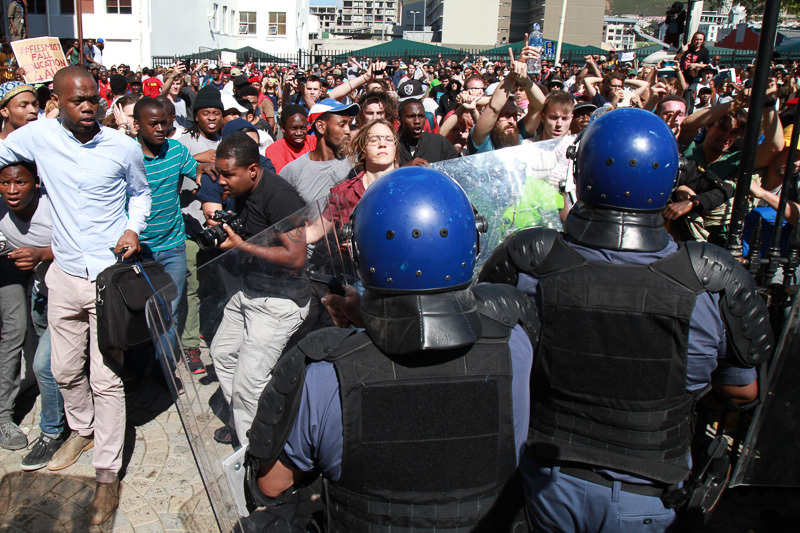 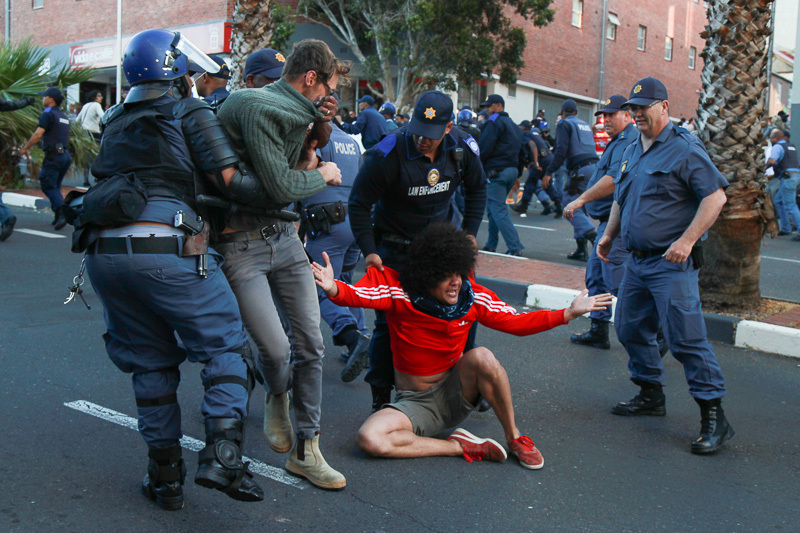 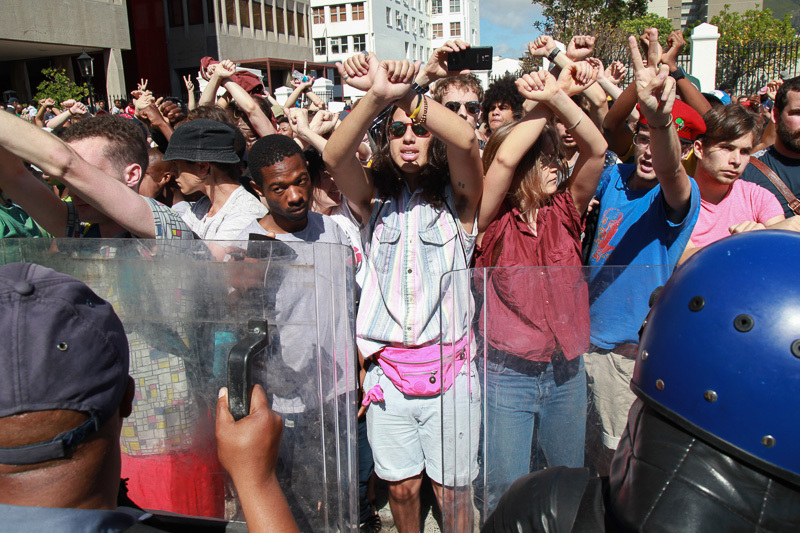 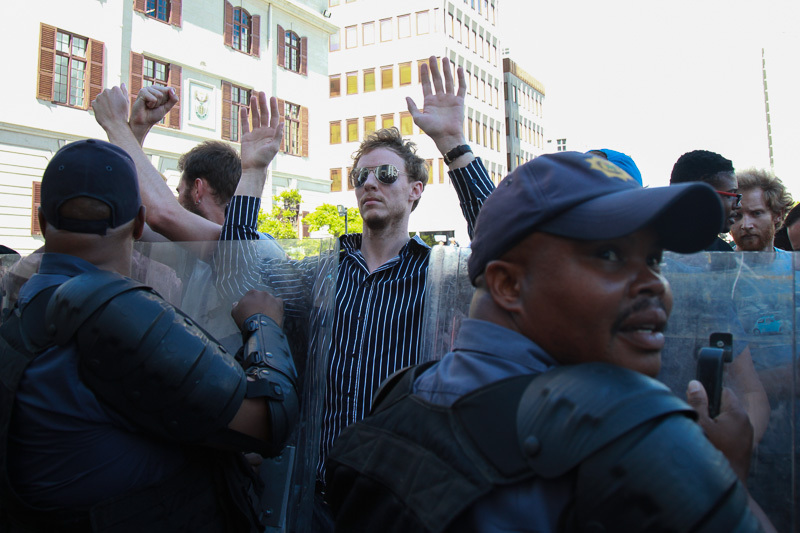 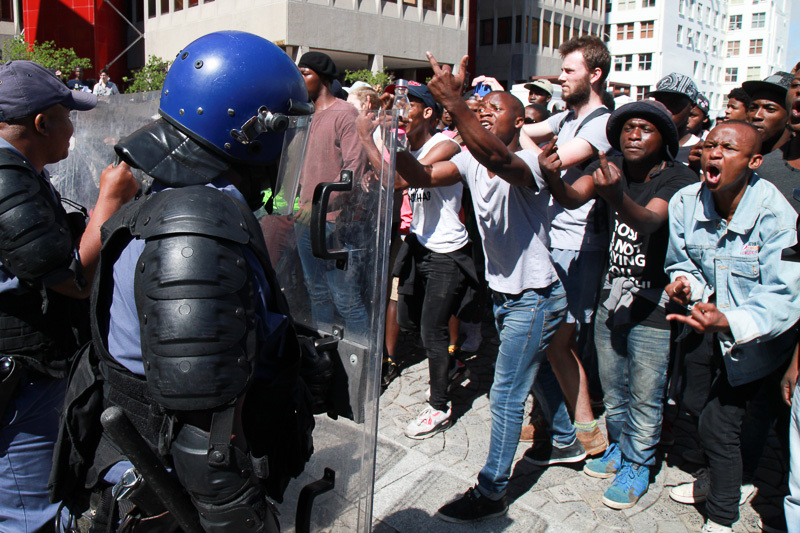 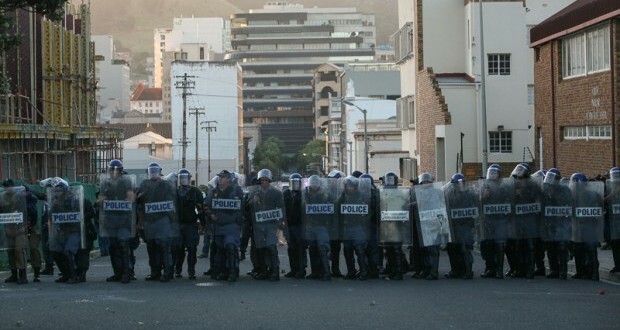 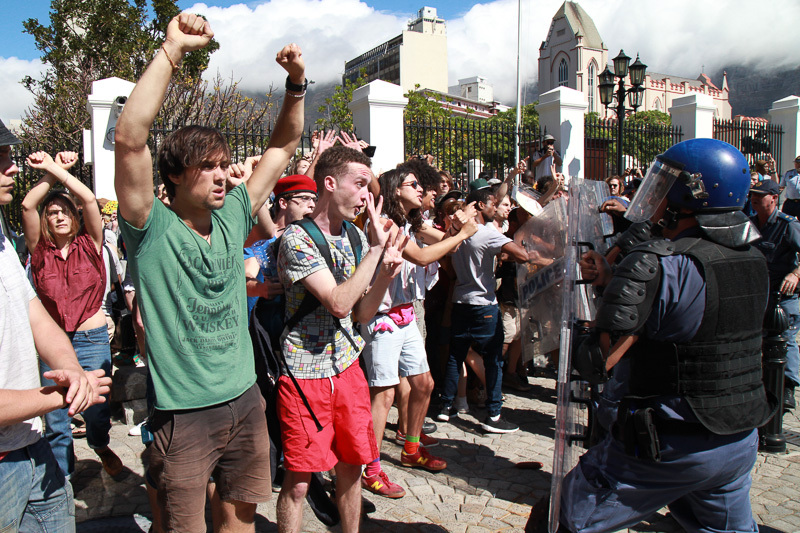 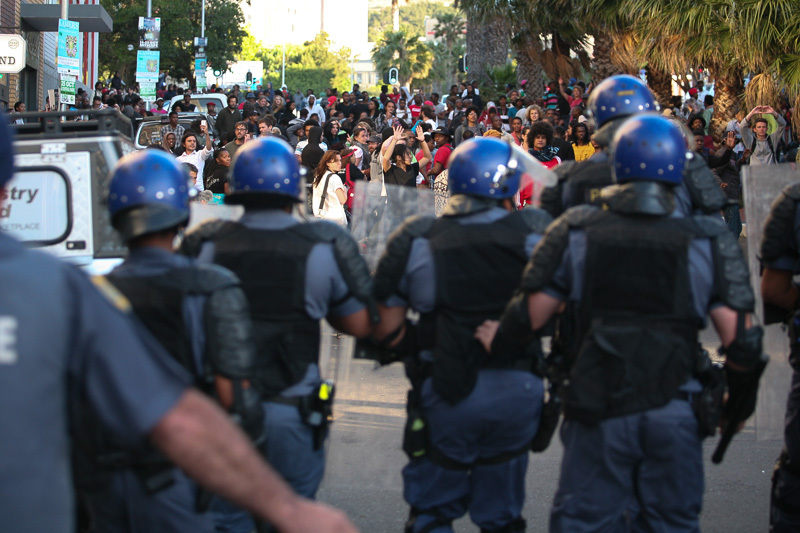 The protest moved from UCT to the gates of Parliament in the Cape Town CBD. 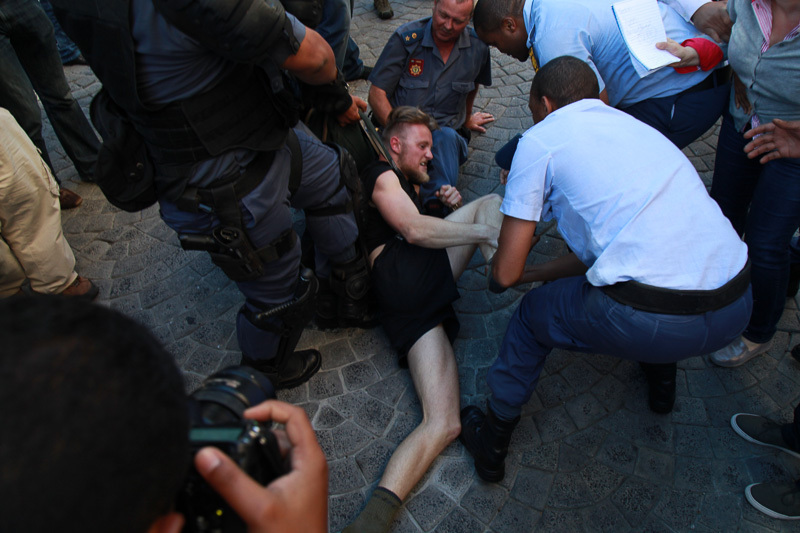 After protestors tried to enter the gates of Parliament, riot police threw stun grenades into the crowd and matters escalated from there. 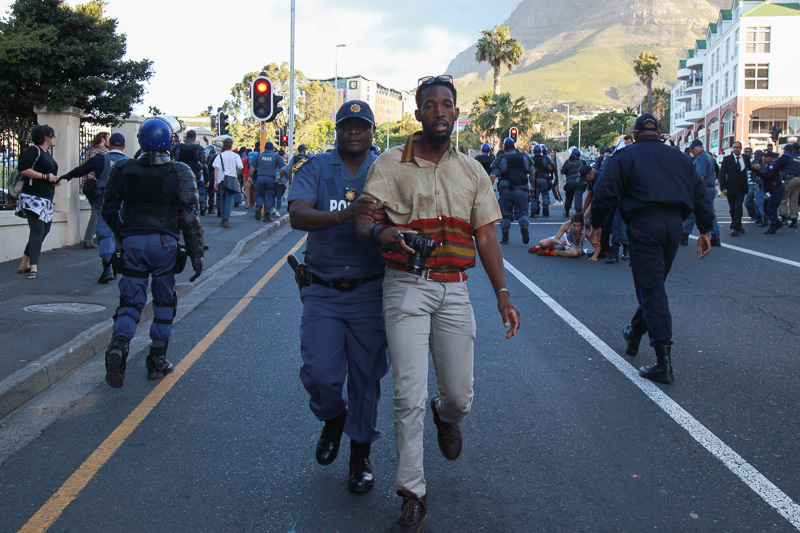 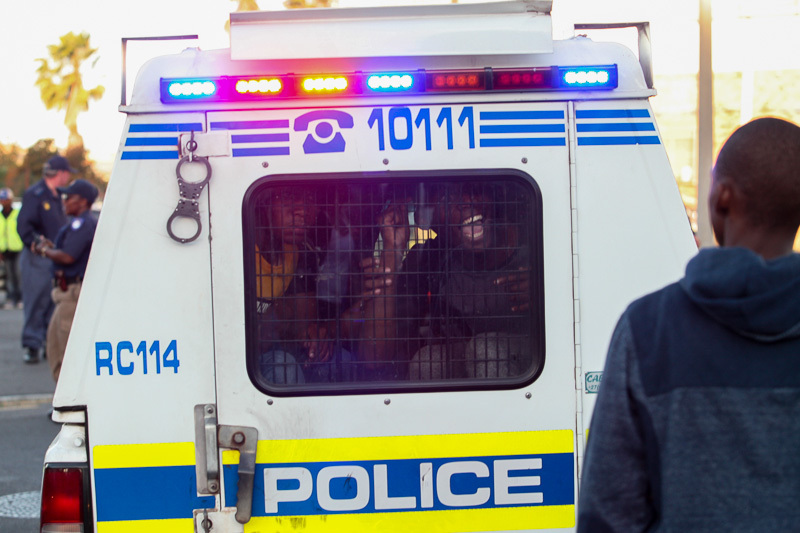 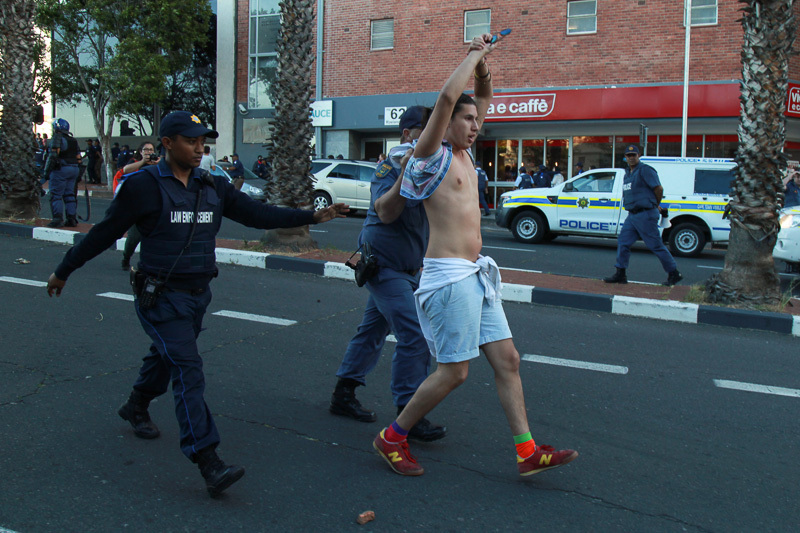 In the end, an unknown number of protestors were arrested and carted off to jail. 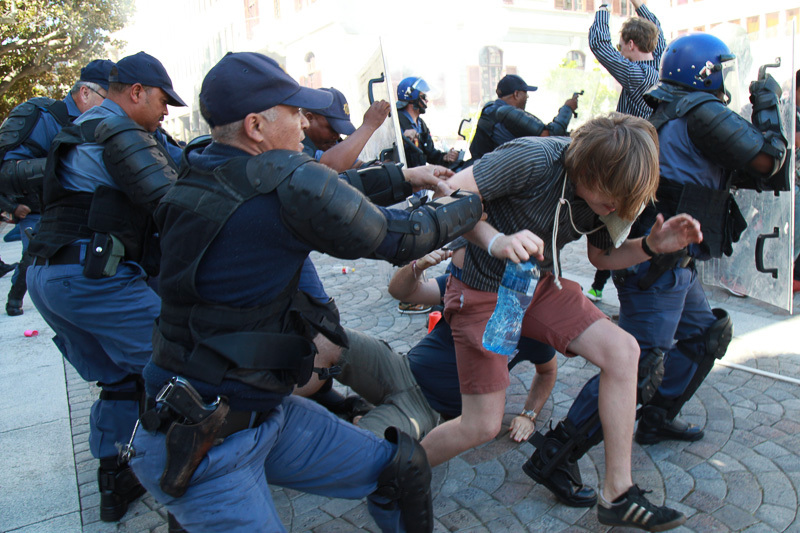 Protestors clashed with police. 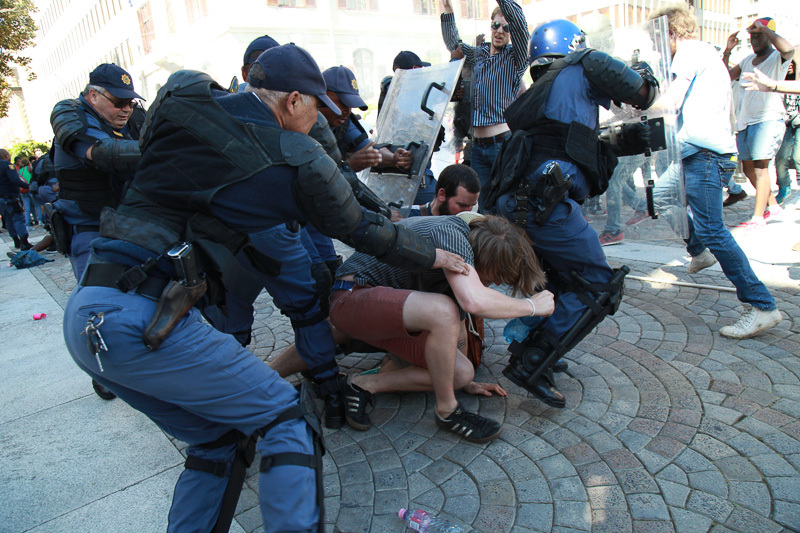 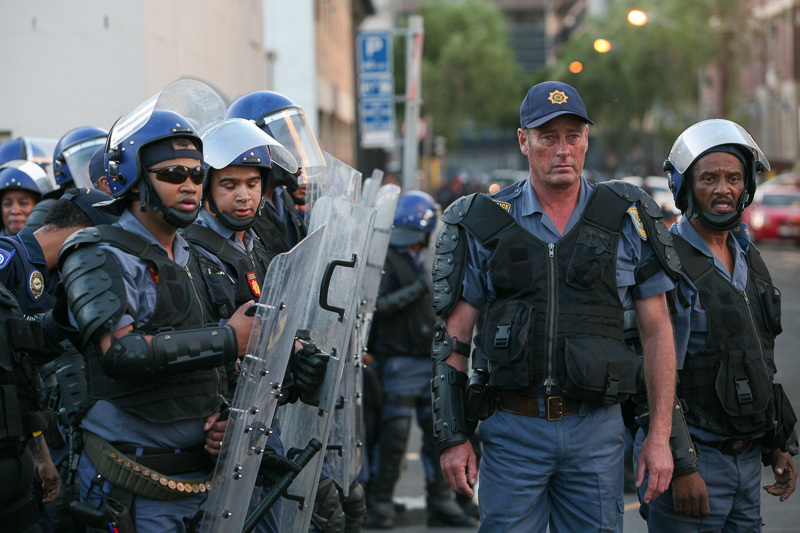 Â and eventually spiralled out of control, with protestors clashing with police.Â RA’EESA PATHER and ASHRAF HENDRICKS were there.